Get inside the mind of a sufferer. Post-traumatic stress disorder is a term most of us are familiar with. However, only those who suffer from the mental illness can actually speak to what it's like to live each day with it. PTSD is caused after an individual experiences an upsetting, traumatic event. It can last for months or even years — for many, it may never go away. Symptoms are serious and range from nightmares and flashbacks to the event to anxiety and depression. PTSD isn't something that can be cured (yet), but understanding this condition can definitely help for people who don't have it or don't know anyone who does. 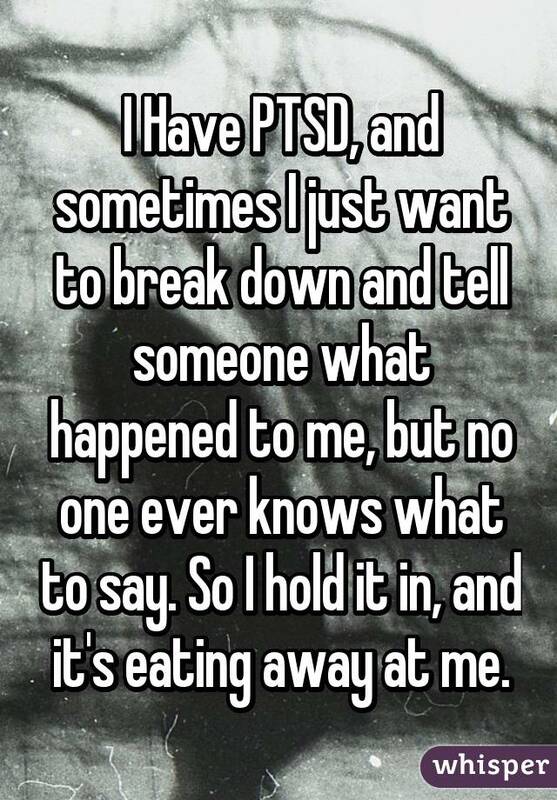 Here are some very honest confessions on what it's like to really live with PTSD. 1. It affects your relationships. 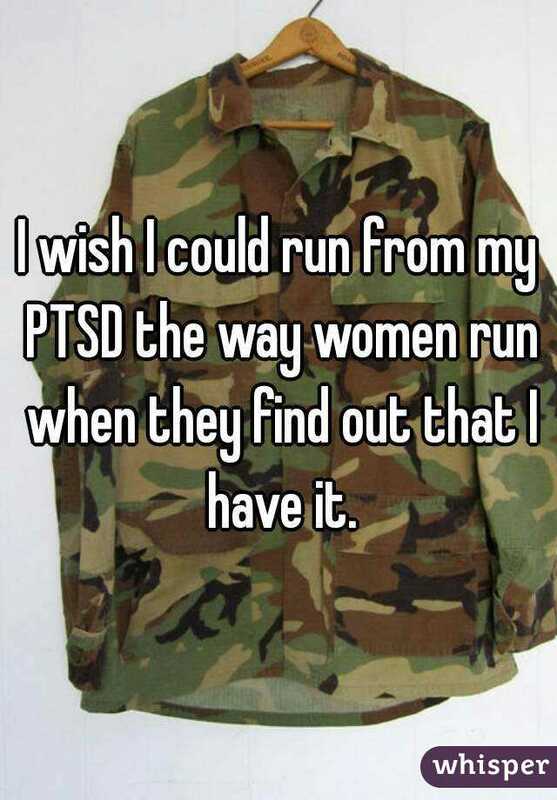 "I wish I could run from my PTSD the way women run when they find out that I have it." 2. It's difficult to be able to trust anyone. "My trust issues make everything so hard. 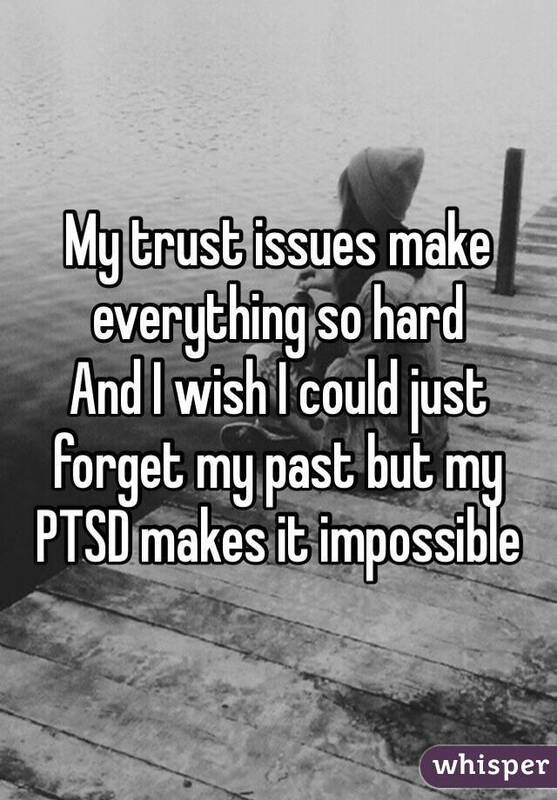 And I wish I could just forget my past, but my PTSD makes it impossible." 3. It can cause anxiety about having a relationship. 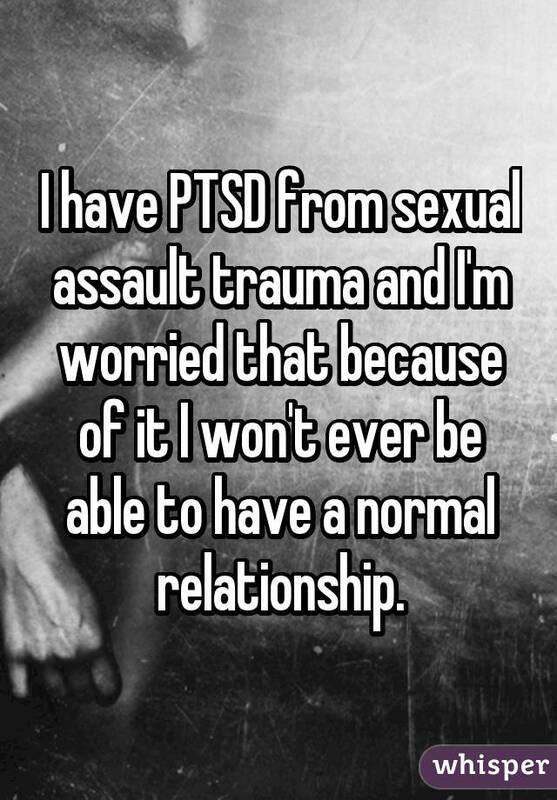 "I have PTSD from sexual assault trauma and I'm worried that because of it I won't ever be able to have a normal relationship." 4. The event that caused it never leaves your mind. 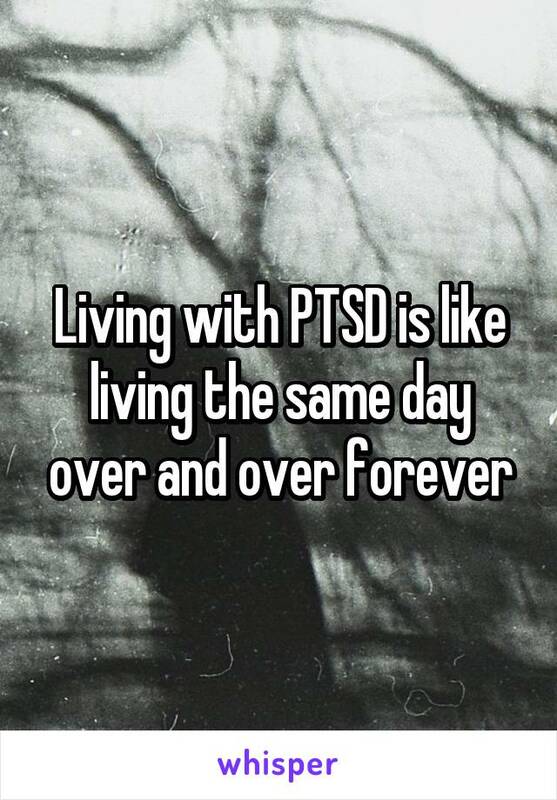 "Living with PTSD is like living the same day over and over forever." 5. It can trigger your fear. 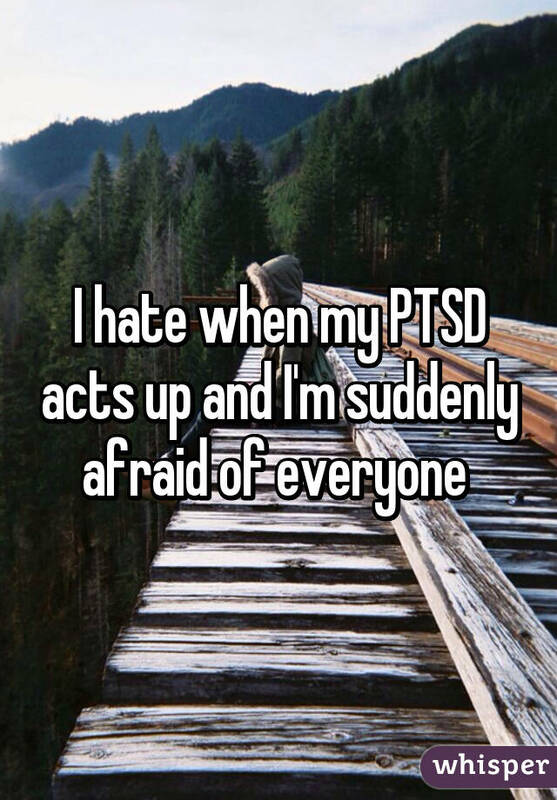 "I hate when my PTSD acts up and I'm suddenly afraid of everyone." 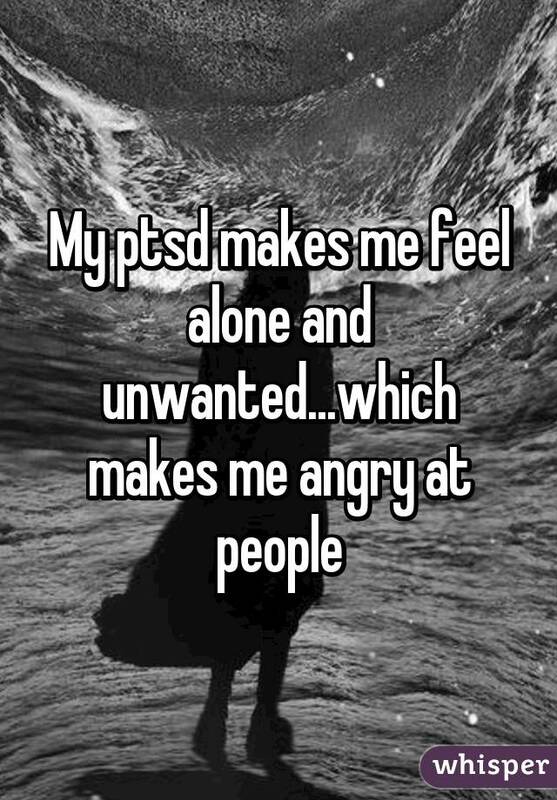 "My PTSD makes me feel alone and unwanted ... which makes me angry at people." 7. It DOESN'T only affect people in the military. 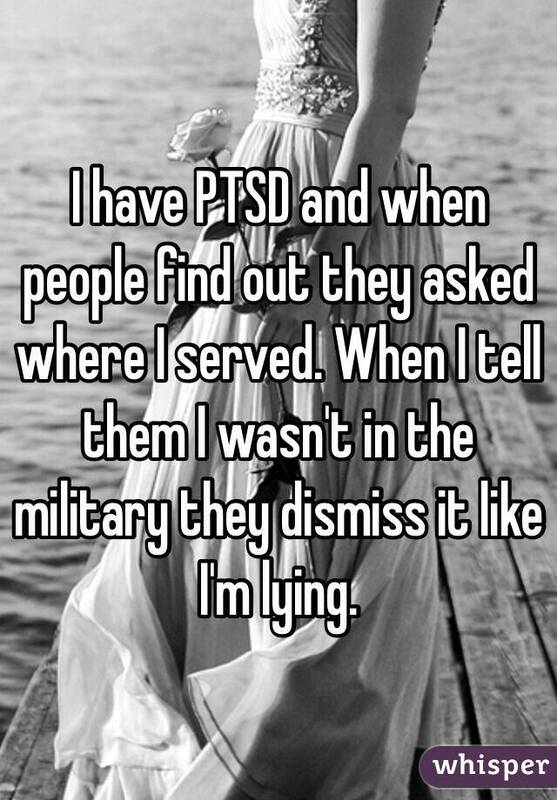 "I have PTSD and when people find out they ask where I served. When I tell them I wasn't in the military they dismiss it like I'm lying." 8. PTSD can distance you from your loved ones. 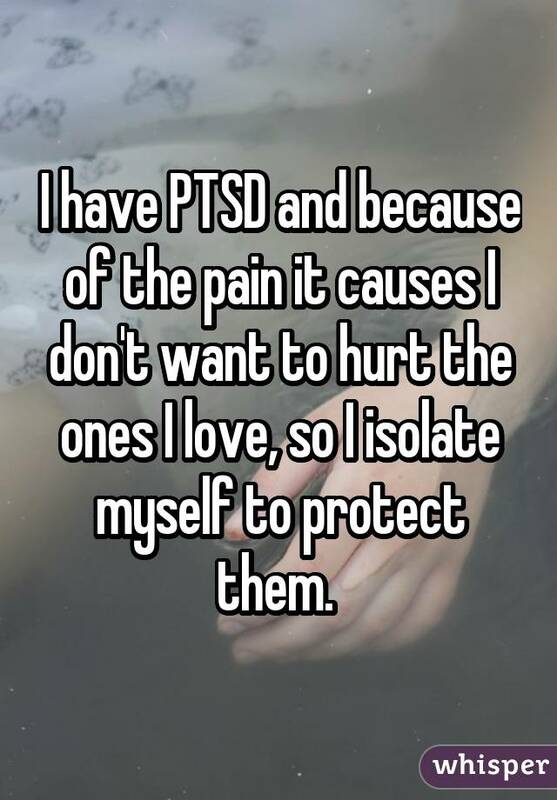 "I have PTSD and because of the pain it causes I don't want to hurt the ones I love, so I isolate myself to protect them." 9. It can be hard to find someone to talk to who'll be understanding. "I have PTSD and sometimes I just want to break down and tell someone what happened to me, but no one ever knows what to say. So I hold it in and it's eating away at me." 10. PTSD affects your sleep. 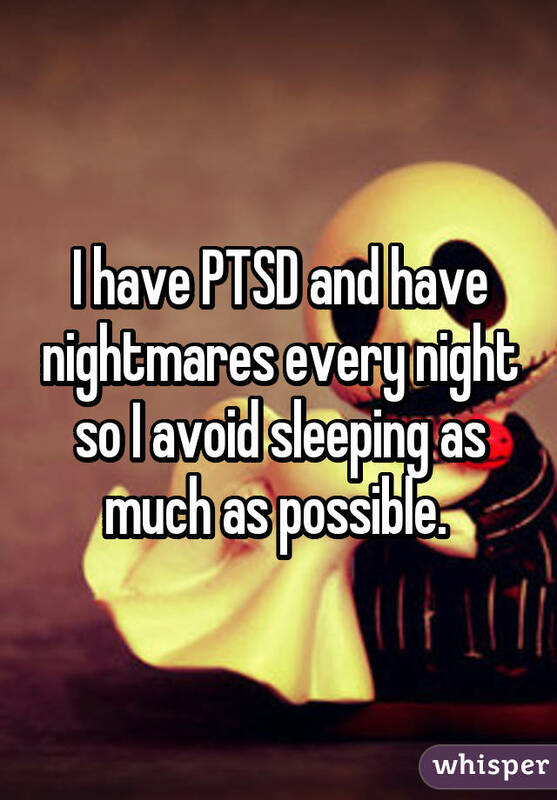 "I have PTSD and have nightmares every night so I avoid sleeping as much as possible." 11. And it affects your view on what life should be like. 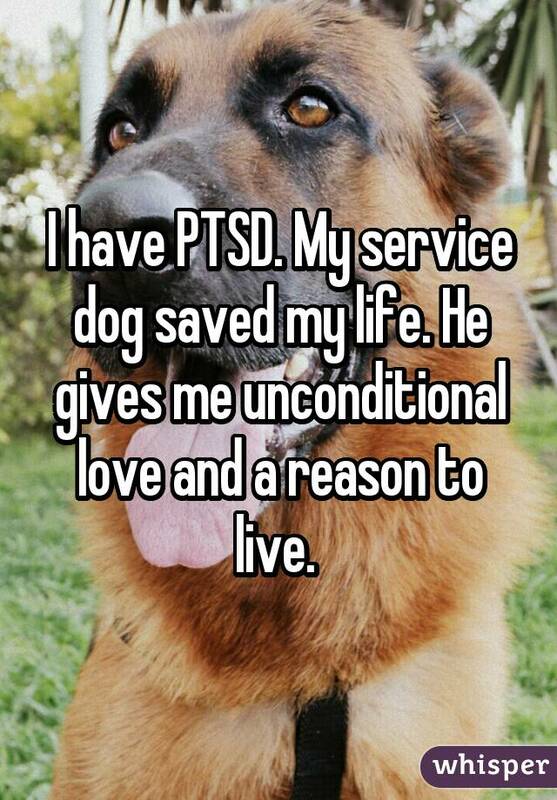 "I have PTSD from serving my country. 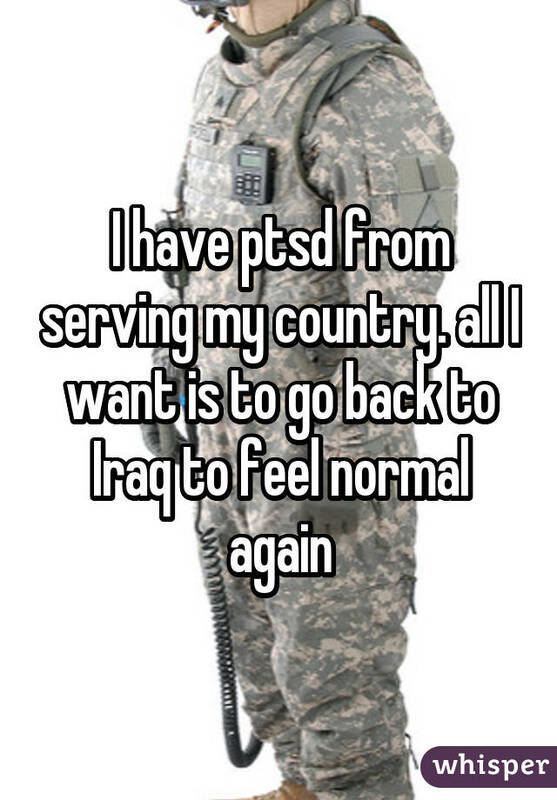 All I want is to go back to Iraq to feel normal again." 12. It makes you feel like you can never win. 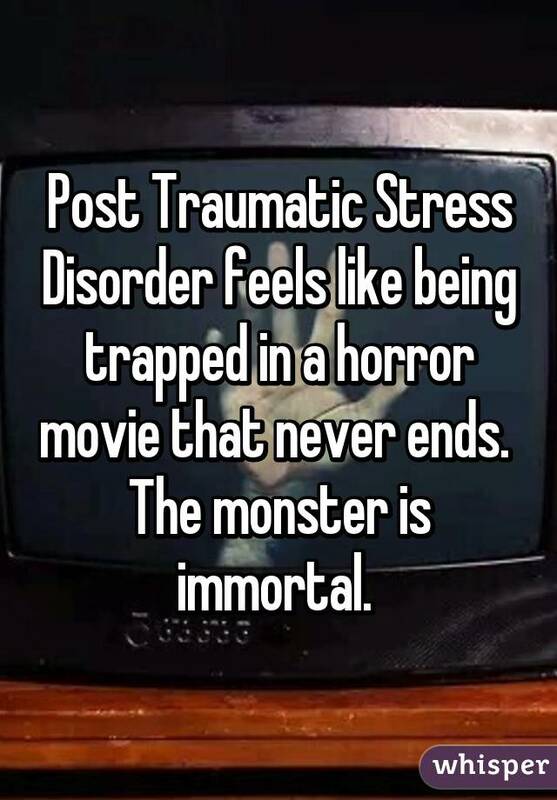 "Post Traumatic Stress Disorder feels like being trapped in a horror movie that never ends. The monster is immortal." 13. Learning you have PTSD can be one of the toughest parts. 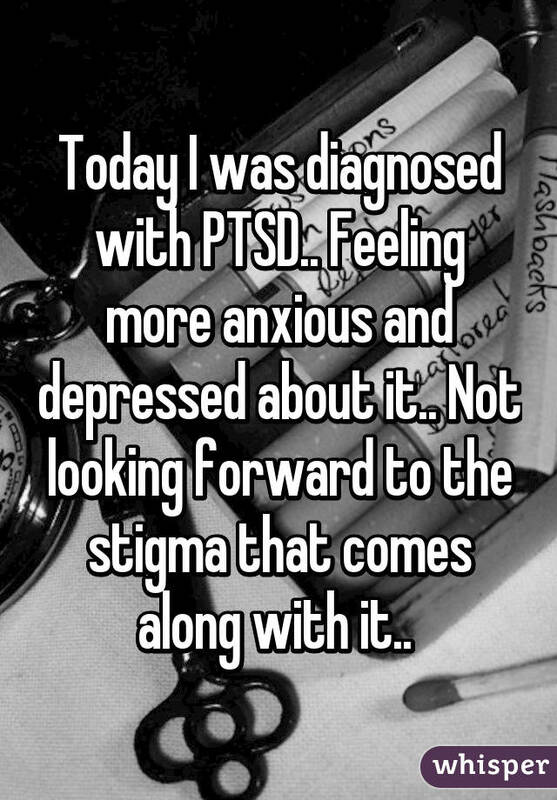 "Today I was diagnosed with PTSD ... feeling more anxious and depressed about it ... not looking forward to the stigma that comes along with it." 14. It makes you feel trapped. 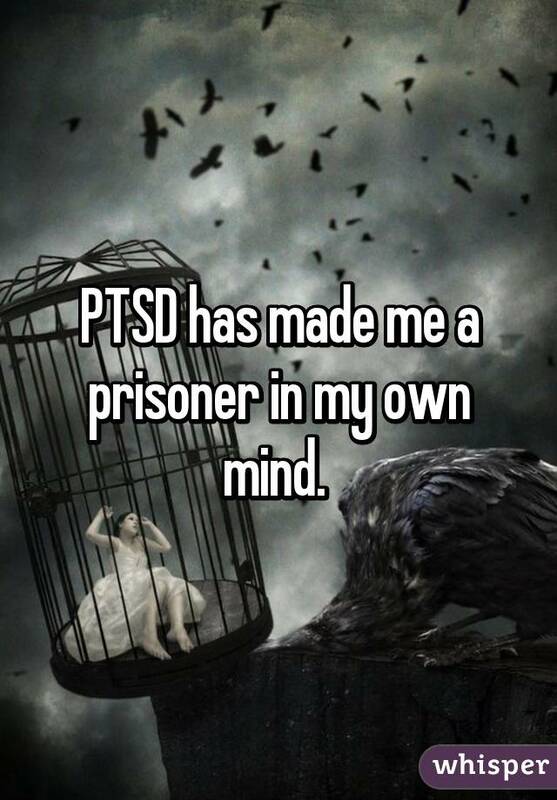 "PTSD has made me a prisoner in my own mind." 15. It affects daily life. 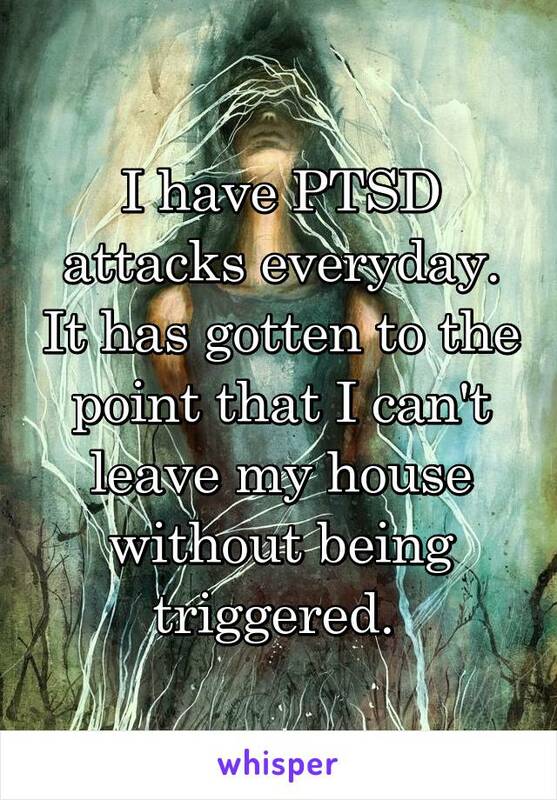 "I have PTSD attacks everyday. It has gotten to the point that I can't leave my house without being triggered." 16. PTSD causes feelings of inferiority. 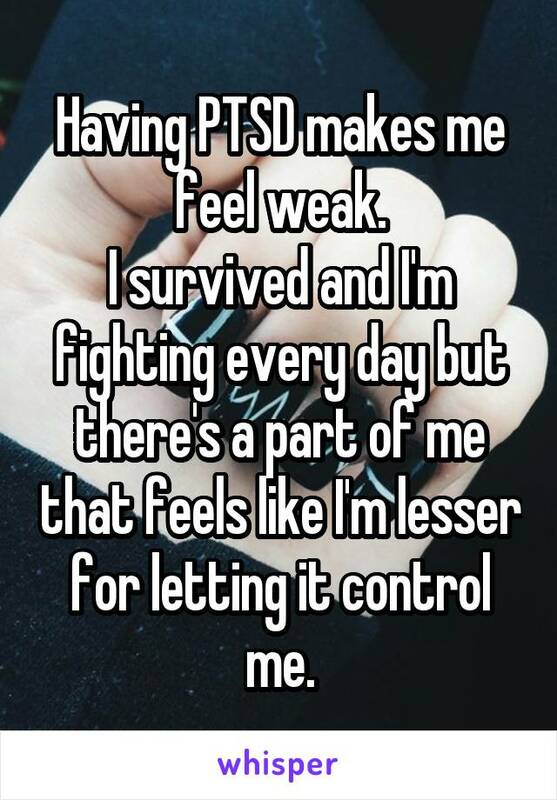 "Having PTSD makes me feel weak. I survived and i'm fighting every day but there's a part of me that feels like I'm lesser for letting it control me." 17. It can be hard to explain why it affects your life. 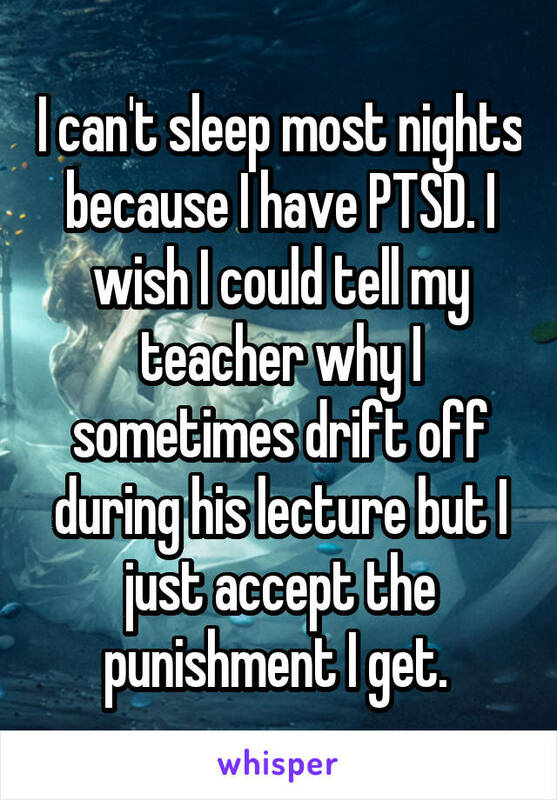 "I can't sleep most nights because I have PTSD. I wish I could tell my teacher why I sometimes drift off during his lecture but I just accept the punishment I get." 18. It can be hard to connect. "People get offended and say they don't know which me they're going to get. I have PTSD ... I don't know what me you will get either." 19. You CAN tell yourself that you'll get better. 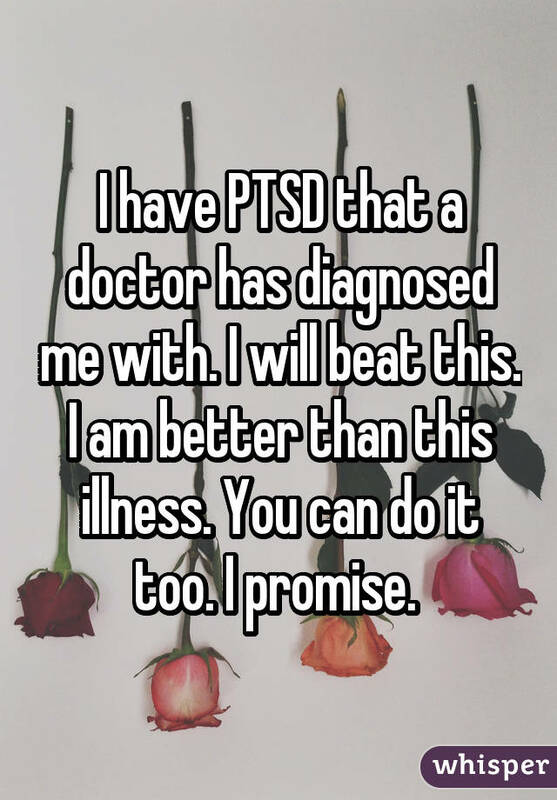 "I have PTSD that a doctor has diagnosed me with. I will beat this. I am better than this illness. You can do it too. I promise." 20. Pets can be your saviors. 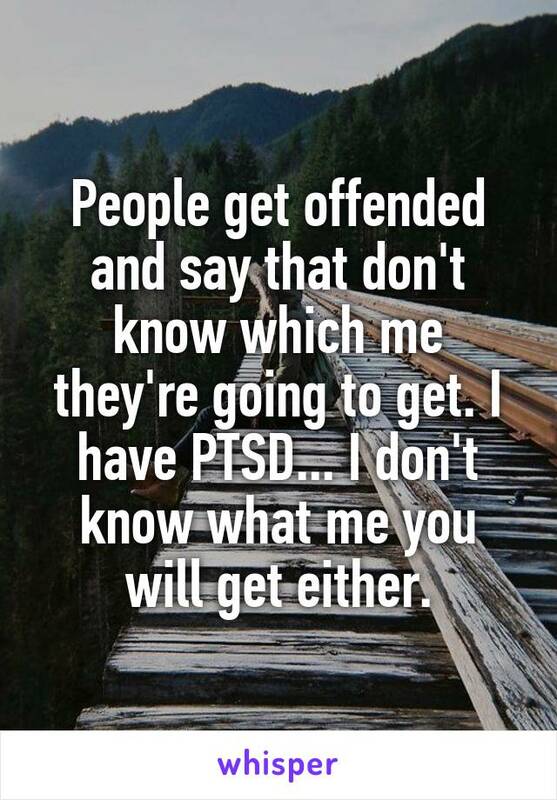 "I have PTSD. My service dog saved my life. He gives me unconditional love and a reason to live."